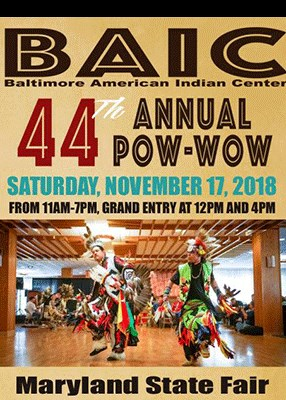 Hosted by the Baltimore American Indian Center. The 44th Annual PowWow will include Native dancing, drumming, music, cultural presentations, jewelry, artwork, crafts, clothing, and food vendors. Grand Entrance at 12 Noon and 4pm.